I entered my very first needle felting contest this past August — The Living Felt 2010 International Felting Contest. 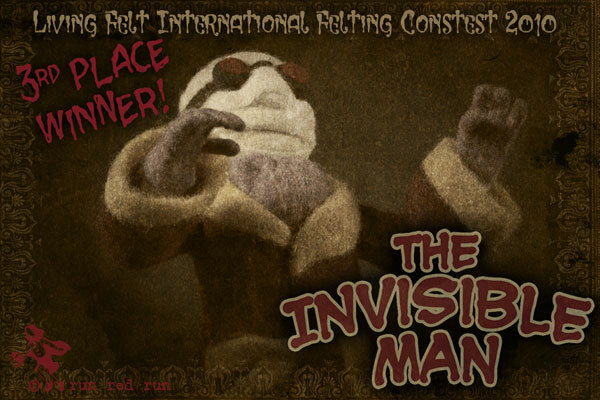 I’m very happy to announce that my Invisible Man won 3rd place! All the entries were wonderful, and I’m sure the judges had a rough time deciding. I’m just thrilled I made the cut! Congratulations to all the other participants. The quality of work on all the contest entries was impressive and will serve as inspiration for me the next time I pick up the ol’ needle.